Big Savings: as low as &dollar;53.32 per canister! Best Savings: as low as &dollar;47.99 per canister! GREEN JUICE, SIMPLIFIED: Skip the shopping, prep time and cleanup routine and savor the simplicity of mixing and enjoying our powdered green juice. SUPER GREENS WITH NO ADDED SUGAR: With organic raspberry and organic apple flavors, our green juice has great taste without added sugars or anything artificial. 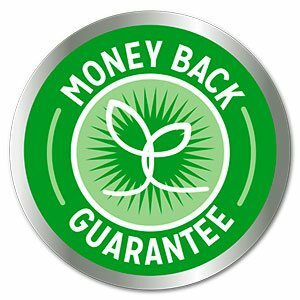 HEALTHY GUT AND BODY: Restore the balance of microbes in your gut with 1 billion probiotics and certified organic, non-GMO, vegan foods. Made in the USA. WHOLE BODY HEALTH: Support whole body health with a unique blend of organic superfoods, probiotics, fiber and digestive enzymes in Super Green Juice. 44 certified organic superfoods help cleanse your system, reset your metabolism, alkalize your body and unleash your natural energy! Nothing artificial, no added sugar, with a light refreshing taste. Super Green Juice brings you 44 of the world’s healthiest organic superfoods, together in one convenient and tasty scoop. Each ingredient is carefully selected for its renowned nutritional qualities. Together these superfoods help to reset your metabolism, cleanse your system, and fuel sustained energy. You could easily spend hundreds each month buying the organic superfoods inside Super Green Juice, and still not replicate the results. And you’ll save hours each week with our ready-to-use proven formula. 9 Ways to Supercharge Your Health! Flush toxins out of the body so you can reset your metabolism, experience better energy and improve mental clarity. Super Green Juice has organic chlorella, organic spirulina and other leafy greens rich in chlorophyll to help detox the body. Super Green Juice provides not one, but three organic adaptogen herbs: eleuthero root, ginseng and the king of adaptogens, Rhodiola Rosea. Together these herbs support stress response and recovery. Nothing could be further from the truth. Almost all off-the-shelf multivitamins are sourced from petrochemicals, not fruits and veggies! The result is that most multivitamins are a waste of money. Medicinal mushrooms have been used for thousands of years to support immune health. They contain compounds called beta-glucans that studies have shown help module the immune response. Over 70 million Americans suffer from some form of uncomfortable digestive distress such as bloating, cramping and embarrassing gas. Intense exercise, exposure to pollution and even daily stress can cause free radicals to run riot throughout your body. Left unchecked, free radicals can also damage DNA and cause premature aging. Don’t skip a beat with superfoods that support a healthy heart. Organic omegas (EFAs) nourish heart health and you get those with chia seed and flax seed. Raw fruits and veggies come with enzymes, however a combination of ultra-processed foods and cooking means many meals are completely lacking in essential enzymes. The result is digestive discomfort. Along with raw veggies which have enzymes intact, Super Green Juice provides 5 types of digestive enzymes to unlock the nutrition from all food groups. Save time and money by getting all your healthy superfoods in one tasty scoop. Super Green Juice is a light refreshing green juice that blends well on its own or in any smoothie recipe! See and feel the difference for yourself with Super Green Juice. Each canister comes with 30 servings to make 30 superfood juices. And it's all backed by a 30-day no hassle money-back guarantee! Imagine not having to buy bags of organic veggies every day and being able to make a tasty healthy juice without endless chopping, prepping, or cleaning up. Super Green Juice is prepped and ready to mix in seconds, making any smoothie, juice or shake instantly healthier. It has a refreshing light taste with organic raspberry and organic apple flavors, and NO added sugar. Is Super Green Juice gluten-free? Super Green Juice comes with organic wheat grass and organic barley grass, which may have naturally-occurring gluten. The amount of gluten in cereal grass is far less than what is found in grains. How many probiotics are in Super Green Juice? There are 4 beneficial strains of bacteria in Super Green Juice and together they provide approximately 1 billion CFUs (colon forming units) for digestive health. In addition to probiotics, you’ll find a prebiotic (Jerusalem artichoke inulin) which nourishes healthy bacteria in the gut. How much is a serving of Super Green Juice? Each canister provides 30 servings (scoops). Each scoop is 10g of premium organic superfood juice powder that can be added to your favorite liquid. Mix it with water, juice, coconut water or a smoothie. Is Super Green Juice low in heavy metals? Yes. All of the organic superfoods in Super Green Juice must pass stringent quality control testing before being added to our premium juice blend. The ingredient review also includes testing for any heavy metals. We’re happy to report that Super Green Juice has very low levels of heavy metals, and that the organic greens will support detoxification in the body. Can I take Super Green Juice with Touchstone Essentials’ other whole food supplements? With 44 organic superfoods, Super Green Juice delivers a concentrated blast of nutrition with the convenience of a tasty juice. It can be taken with all of our other whole food supplements. Does Super Green Juice replace Essentials, Supergreens +D and Green Energy? Super Green Juice does not replace Essentials, Supergreens +D or Green Energy which will continue to be available. These supplements offer targeted nutritional support and are optimal for those who don’t like juices. Additionally, Supergreens +D provides essential vitamin D supplementation. And Green Energy provides high level of green tea and systemic proteolytic enzymes. Super Green Juice can be taken on its own or with our other organic whole food supplements. It’s the perfect way to get a concentrated blast of nutrition with the convenience of a tasty juice. Where do the flavors in Super Green Juice come from? The flavors in Super Green Juice are made from organic raspberries and organic apples. Because they are in a concentrated powder form and are primarily used for taste we are required to label them as “flavors”. They are certified organic. Is Super Green Juice ok during pregnancy? As with any supplement, those pregnant or nursing should consult with their health care practitioner about their nutritional needs. Super Green Juice is filled with 44 superfoods to support health and vitality. It is certified organic, non-GMO and vegan. Can children take Super Green Juice? Yes. Super Green Juice is a whole-food based supplement that is safe for all ages. Just add a smaller portion to water, juice or a smoothie. Is there any sugar in Super Green Juice? There is no added sugar in Super Green Juice. There is 1 gram of natural sugar per serving which comes from the organic fruits and veggies inside.